Our workout apps come with a unique feature called Voice Assist that allows you to workout with announcements and have the apps announce key parts of a workout. While our apps allow you to select speakers with different English accents the default voices for these accents are picked by iOS and cannot be controlled from inside our apps. Selecting different voices is a process that is slightly involved might take an attempt or two to get right. 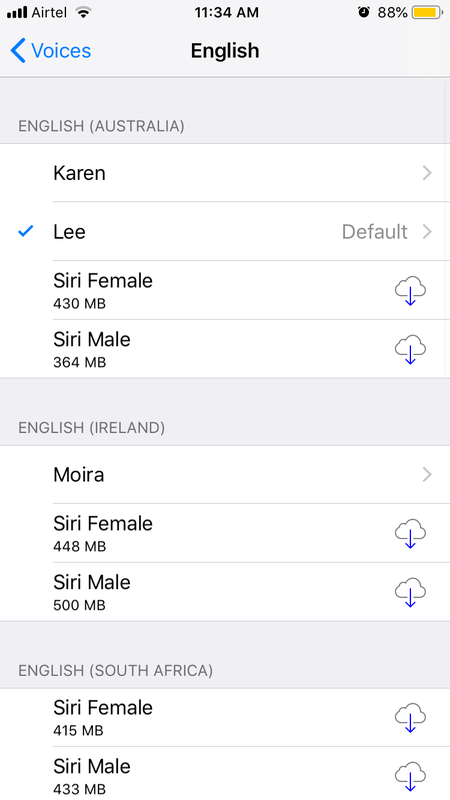 But, while these settings work great on older versions of iOS they have become much more important on iOS 12 as it selects a default robotic male voice for the American English accent causing many users to wonder where their familiar female voice assistant went! We’ll she’s called Samantha and here’s how to get her back. Open the iOS settings app and go to General > Accessibility > Speech > Voices > English. The screen shows a number of voices available for different English accents. In this document, we assume you are trying to setup the American English voice (steps for other accents are similar). Scroll down till you find the English (US) section. By default only a few voices are available on your device. 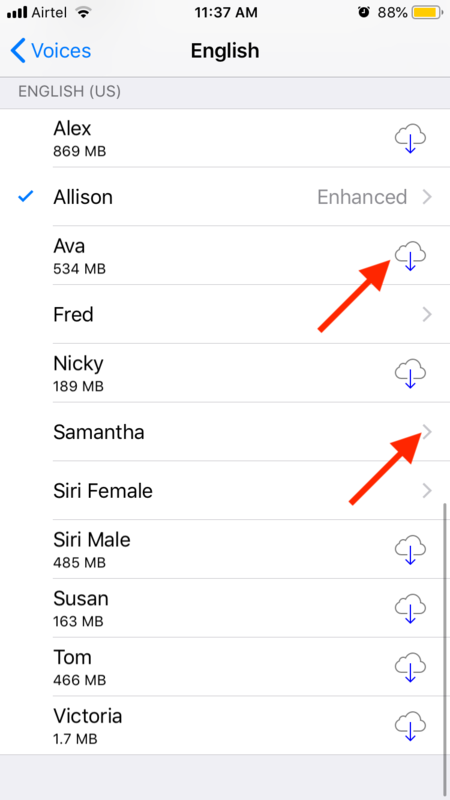 Next to additional voices is a cloud-download icon, press that to download a voice you want to try. 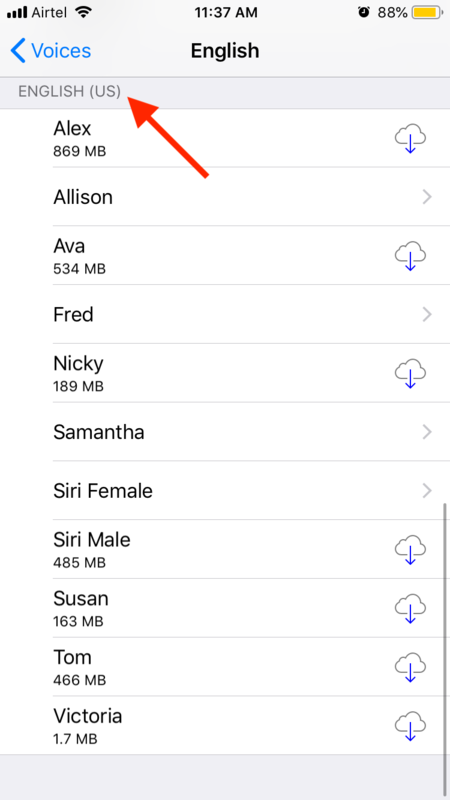 After it is downloaded, tap the voice to see more options related to it. You can press the play button next to it to try out the voice. To select the voice press it and a checkmark should now show up next to it. Press back on the top right. 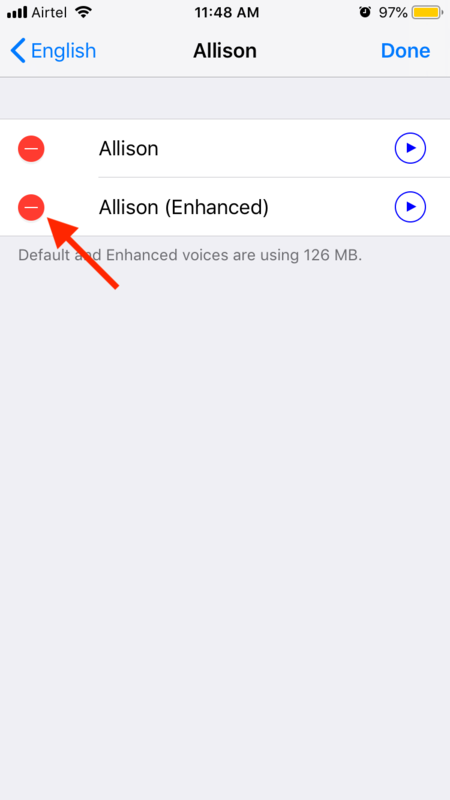 Go back to our app and be sure that you have selected the speaker to match the accent for which you just set up a voice in iOS settings. The settings for the voice assist speaker for The Tabata Stopwatch Pro are under App Settings > Voice Assist > Speaker, and for Workouts+ they are under Options (top left) > Voice Assist. Play around with the different voices available, many of them might surprise you. 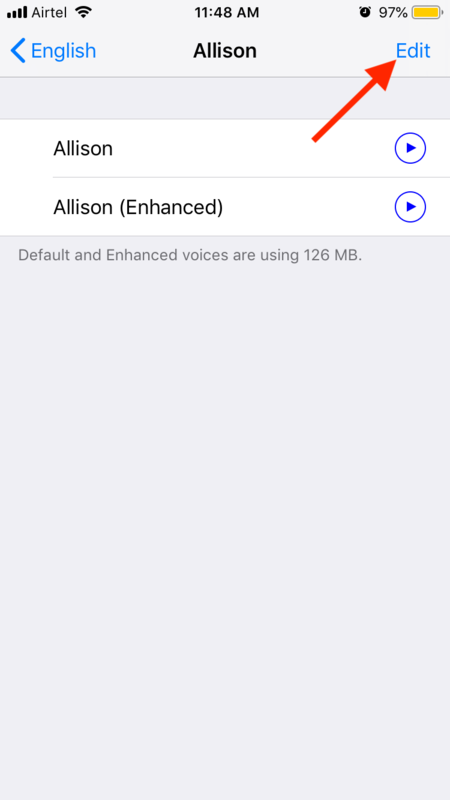 You can also download much higher quality voices now and they really take your workouts to the next level. 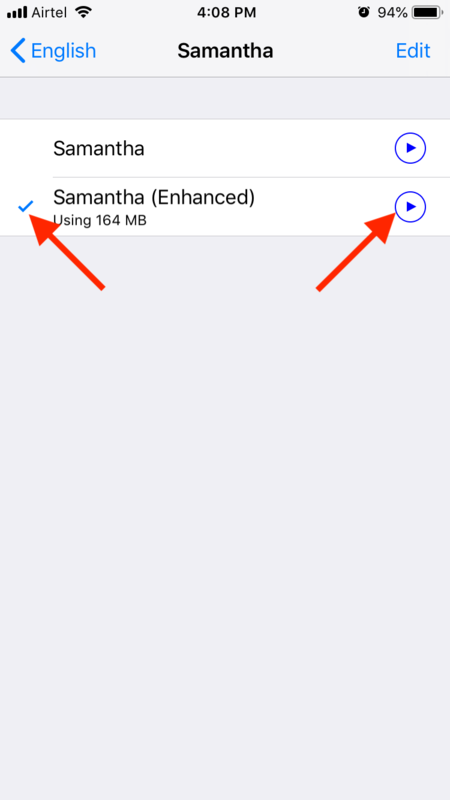 If you are worried about downloaded voices taking up space on your device, simply click on the voice and press Edit on the top right and go ahead and delete voices as needed. To find out more here is Apple’s document on voices https://support.apple.com/en-in/HT202362.